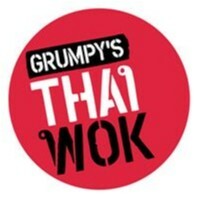 Grumpys Thai Wok joined our Mission to help provide access to “Clean Water for All by 2030”. This Mission was initiated by the United Nations. A big thank you to Grumpys Thai Wok’s team and customers for joining this extremely important mission on 24 January 2018. "Quick service and decent lunch special. Nice environment. Food is good but not as good as other Thai restaurants in the city and Newtown. Good for a quick bite."